The first Metaltex factory in China for the production of household wire products dates back to 1993, the Guangzhou Metaltex Metal & Plastic Products Co. Ltd., in Canton. In 2017, production moved to the new factory in Yangjiang and a liaison office remains in Canton. Production of household items in wire. SA 8000 certification (Social Accountability) based on ILO (International Labor Organization) and UN conventions. 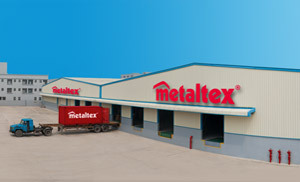 Logistic center of the Metaltex group in China. Responsible for the quality control team regarding Metaltex goods produced in the PRD area (product testing and supplier audits). Surveils the development of new products for the PRD area. Office responsible for the “quality control” of suppliers in the Canton area.